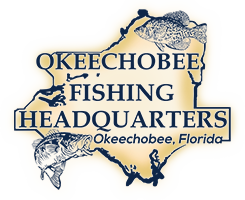 The post Okeechobee Guide Service- Okeechobee Fishing Report 6/30/18 appeared first on Lake Okeechobee Bass Fishing at it’s BEST! Top Fishing Guides. Okeechobee Fishing Report 6/29/18 These guys have just finished their 4th trip since April with Okeechobee Bass Fishing and they are still catching NICE fish. The weather is warm but the fish are still chewing. Danny and Dilbert are from Ft. Myers and both love catching BIG Okeechobee Bass! Come join us for some Summer Bass Fishing on Lake O! The post Okeechobee Fishing Guides- Okeechobee Fishing Report 6/29/18 appeared first on Lake Okeechobee Bass Fishing at it’s BEST! Top Fishing Guides.